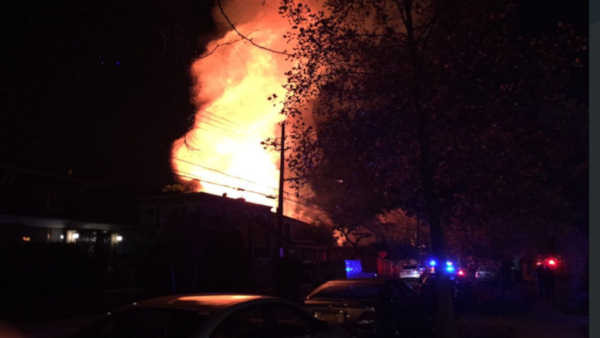 FOREST HILLS (WABC) -- Firefighters successfully put out a multi-house fire in Queens on Sunday night. The FDNY responded to a house under construction in Forest Hills at 7:30 p.m. The fire had quickly spread to neighboring homes, forcing the FDNY to go to three alarms. Area residents feared their homes were in danger. The Fire Chief is calling the fire 'suspicious' because of the large volume of fire, but he did not know the cause.